After twice daily training sessions since they arrived the players were at last given an afternoon off to see a bit of the city. 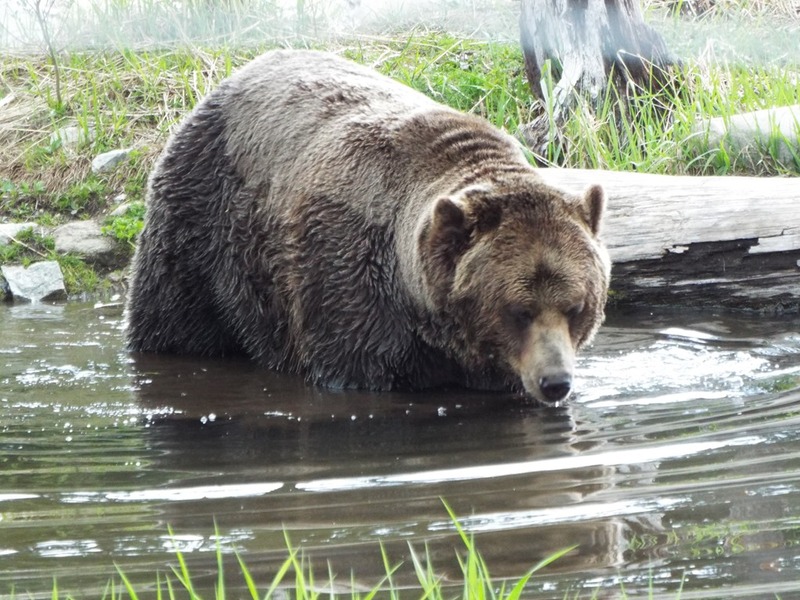 They were taken to Grouse Mountain which is a ski resort in the winter but stays open all year round with various attractions, including a pair of tame grizzly bears, a lumberjack show, birds of prey demonstrations and the most fantastic views of Vancouver and the surrounding mountains. The venue is reached by a six-minute cable car ride which is worrying enough without 30 or so rugby players adding to the weight. Afterwards the players were dropped in the the main tourist area of the city to have a look around before going back to British Columbia University and and prepare for tomorrow’s game. The squad has been selected and the captain’s run will be at Capilano RFC at 10:30am (6:30pm BST). Then they will return to Capilano for the 7pm (3am BST) kick off against the BC Bears. The game is live on http://bcrugby.com/live and will be archived so it can be viewed at a more reasonable time for those in the UK.